The Society has a strong grassroots network that provides a forum for SNMMI members to take an active part in local activities. 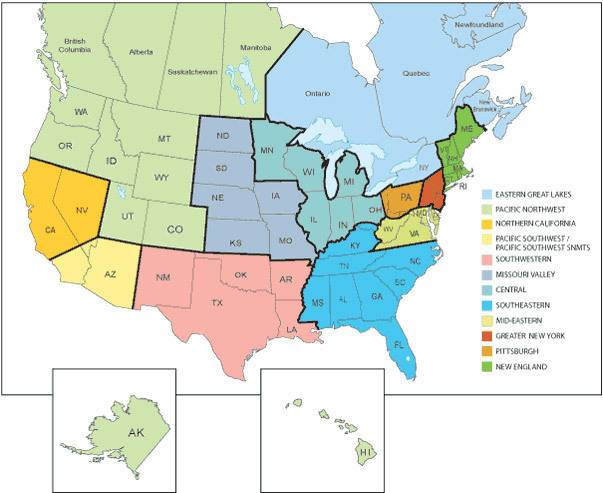 As an SNMMI Member, you are automatically enrolled in one state/regional Chapters comprising the United States and Canada. Chapter participation enhances one of the most valuable member benefits—networking and sharing ideas with your peers. All SNMMI regional chapters are chartered by the National organization and actively support the Bylaws and policies of the Society. Click on the map for additional information regarding your regional chapter.